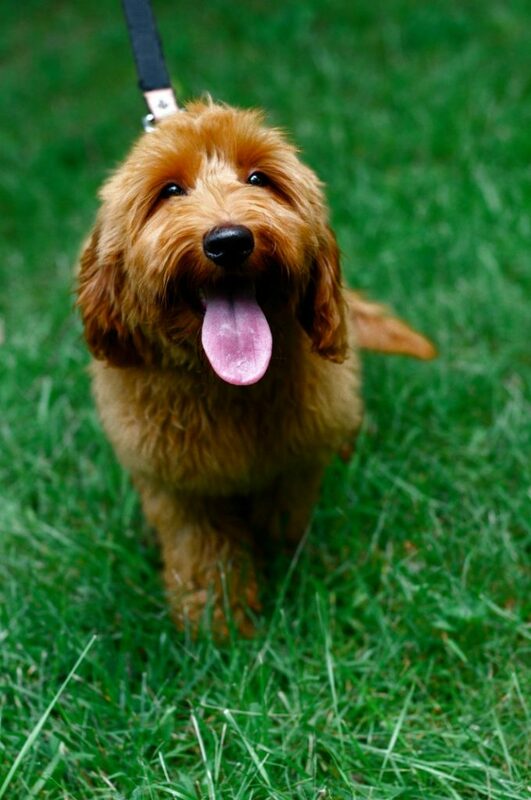 What is a Multi-Generational Australian Labradoodle? Meet Finnegan: He has an amazing temperament and pedigree, and we know he will be a wonderful asset in our program. 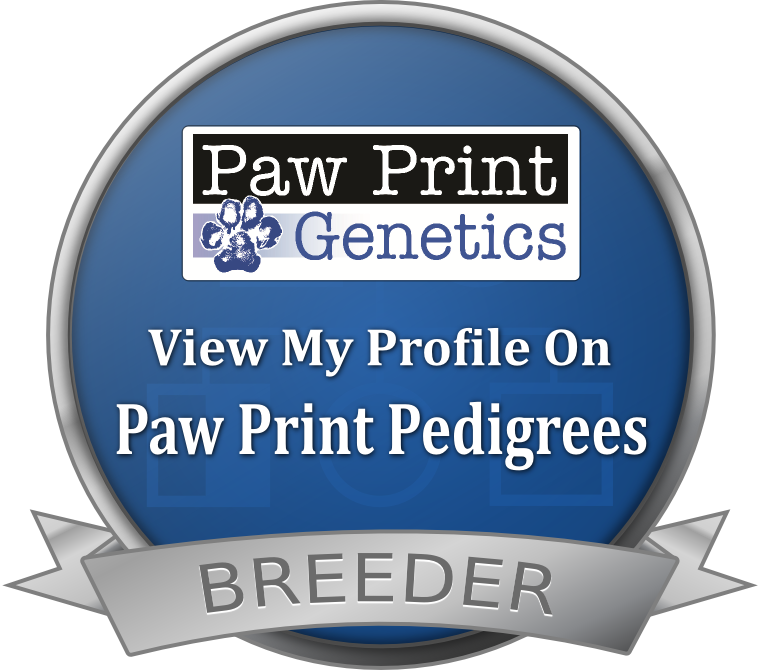 Please click here to view Finnegan’s WALA pedigree, and please click here to view Finnegan’s ALAA pedigree. 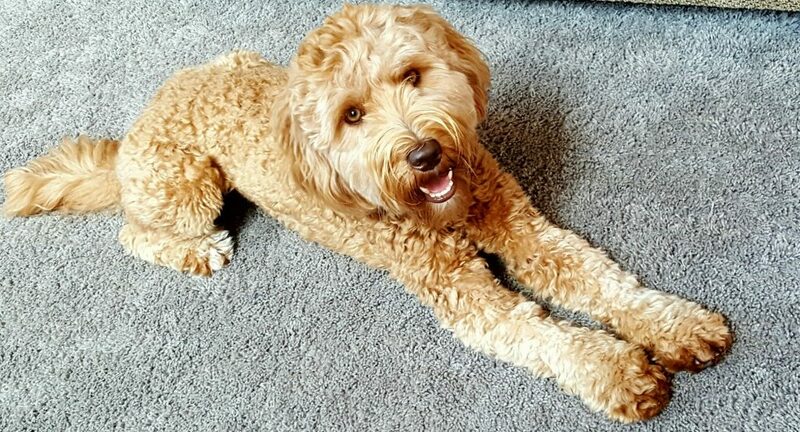 Finnegan came to us from Aussie Labradoodle. 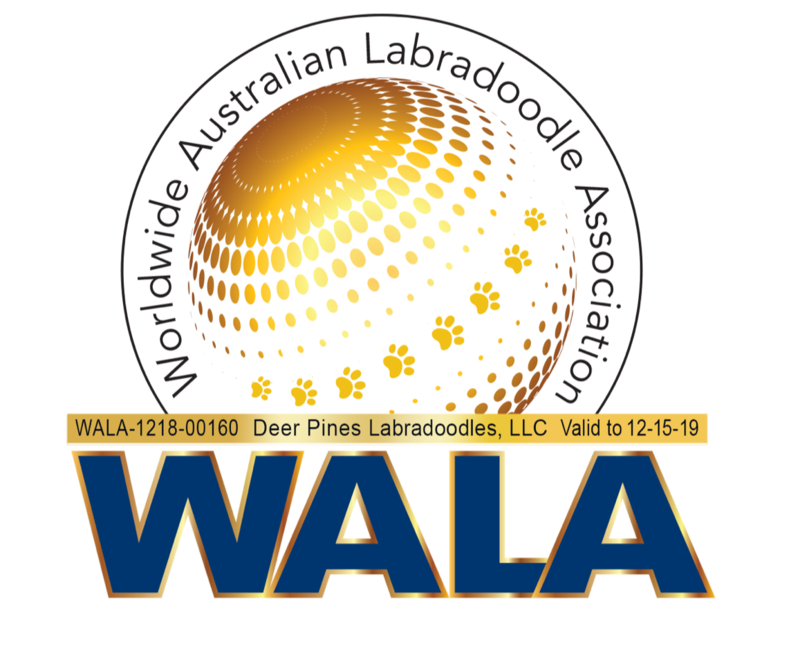 His pedigree is excellent – with lines originating in Australia, and he has passed all of his health testing, which you can view here. Finn has a constant companion in his loving home, and they shared insight (below) to give you a sense of his wonderful personality. With a gorgeous silky red fleece coat, we are certain the puppies he sires will be absolutely stunning! Finnegan is a handsome dog and he knows it; it is obvious in the way that he ‘struts’ rather than walks – especially when he knows someone is looking. He amazes everyone with his calm demeanor, good behavior, and he even has a bit of a comic streak. I recently underestimated how tall he had gotten and left a plate of cookies on the counter – and I realized it when he came up to me the entire cookie gently gently held between his teeth as if to ask if he could have it; needless to say, he surrendered it willingly, as I quickly traded it for one of his treats. He loves to play fetch with his best buddy – Tigger, chase a blowing leaf, and flip snow in the air. And, as far as lovable foot warmers go – he is the best:-)! 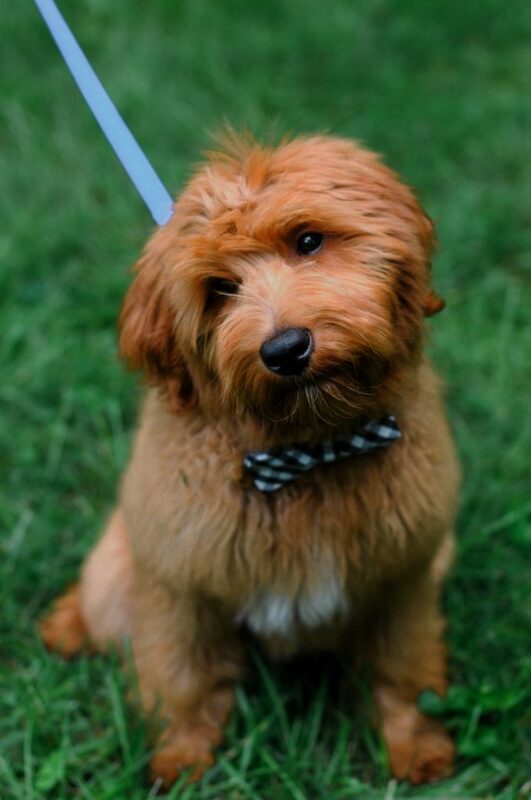 I will be having gorgeous caramel puppies, soon!